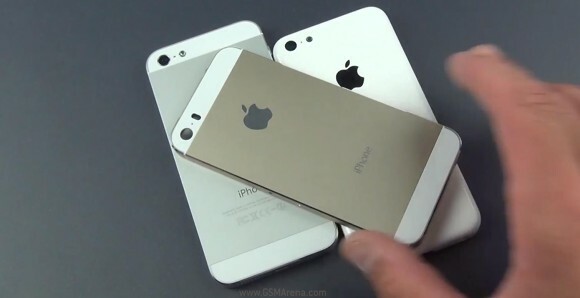 A video has surfaced which shows the rumored iPhone 5S' golden casing and compares it side by side with the silver iPhone 5. The prominent differences are the dual-LED flash cutout on the iPhone 5S casing, the different third microphone pinhole shape and the fact that the chamfered edges on the sides aren't colored and are instead just plain aluminum. We've seen pictures of the champagne-gold casing more than once. Also a grey SIM tray points to a possible fourth color option. The video also features a comparison of the would-be iPhone 5S casing with the would-be iPhone 5C one. If these rumors are true and this actually becomes a reality on September 10, alongside iOS 7 we could expect pretty minor updates on the latest Apple gadget compared to the current iPhone 5. The screen and body would be all but the same. Oh, couldn't have said it better. Well done sir. Dude, you have problems if you think an android is difficult to use.